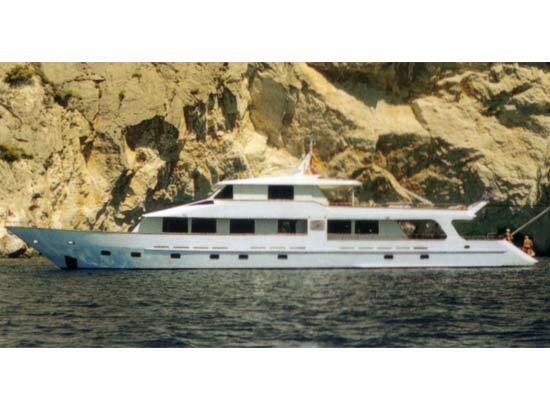 Motor yacht ELENA was built by Perama shipyard of Greece, in 1992 and measures 30m (100ft). M/Y ELENA was refitted in 2008 and offers accommodation for 12 to 14 charter guests, in 6 en-suite cabins, plus an additional en-suite bunk bed cabin. 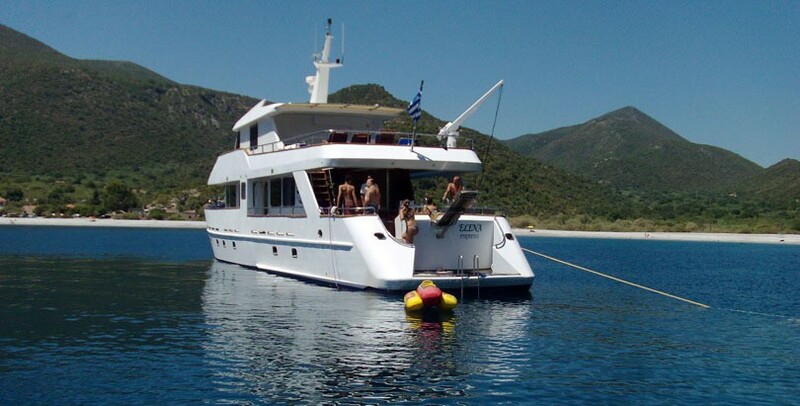 The yacht ELENA is available for crewed charter between Athens, Patra and the Ionian islands. 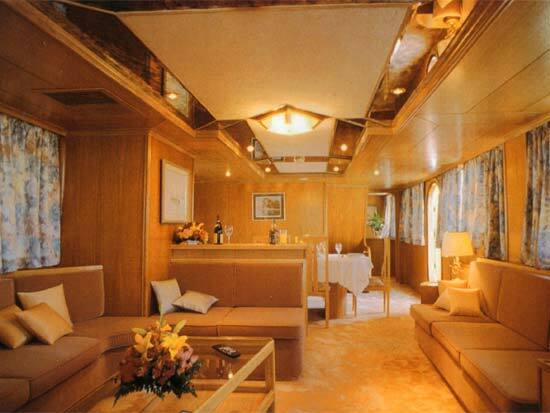 Motor yacht ELENA has a spacious interior with plenty of natural light and a warm ambiance. 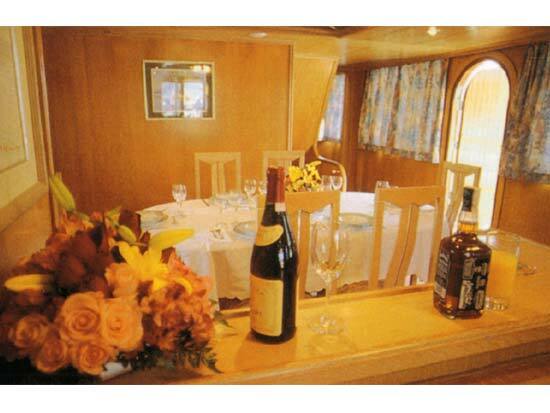 The salon and dining are on the main deck with the comfortable lounge aft and formal dining forward. Further forward, the VIP cabin offers a full beam layout, with double bed. 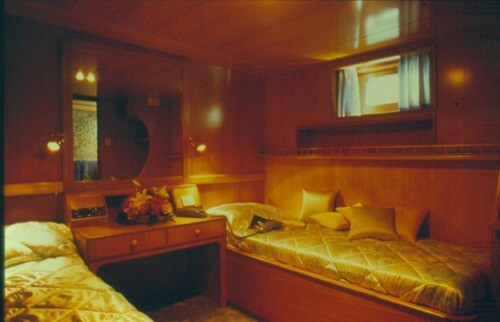 Below decks are the full beam master cabin and 4 twin cabins, each with side by side single beds. 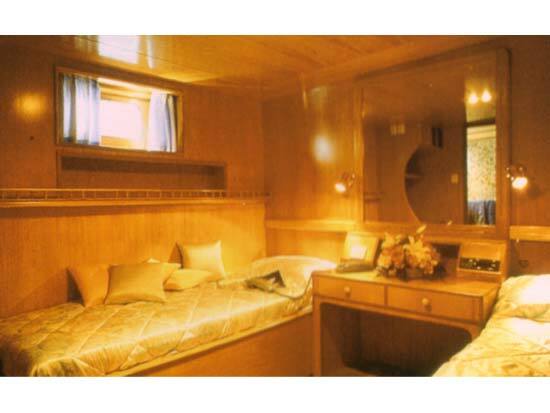 A 7th cabin can be made available on the upper deck, in an en-suite upper and lower bunk bed cabin. 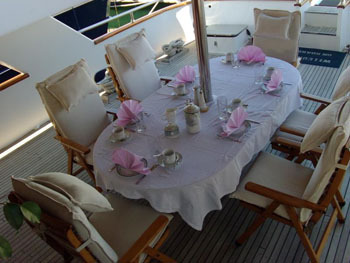 Charter yacht ELENA is fully air conditioned for optimum comfort. The ELENA motor yacht has ample exterior areas on her teak decks to relax, whether guests are seeking sun or shade. 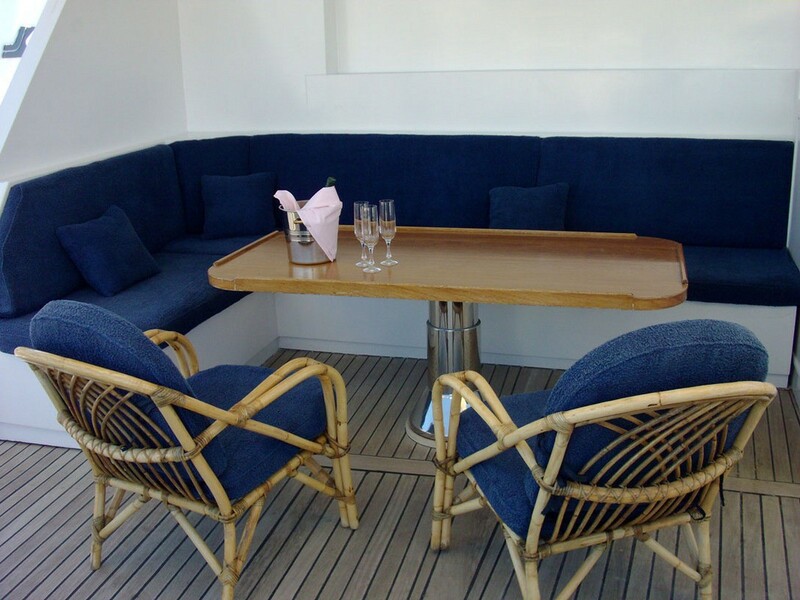 On the main deck aft, is a spacious shaded area, with seating and an alfresco dining option. Continuing aft, steps lead to the extended swim platform, ideal for effortless water access. Above the main deck, the sundeck boasts chaise lounges and further sunning space. 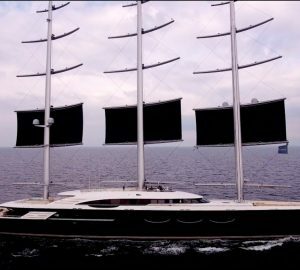 Charter yacht ELENA is powered by 2 x MAN 100hp engines, capable of 12 – 16 knots. She has a beam of 6.3m (20.7ft) and a draft of 1.5m (5.10ft). 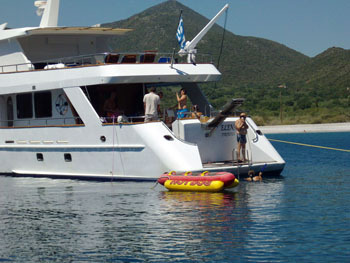 Motor yacht ELENA can accommodate up to 14 charter guests. The master suite is below decks and full beam of the yacht amidships, with a queen size bed and sofa. 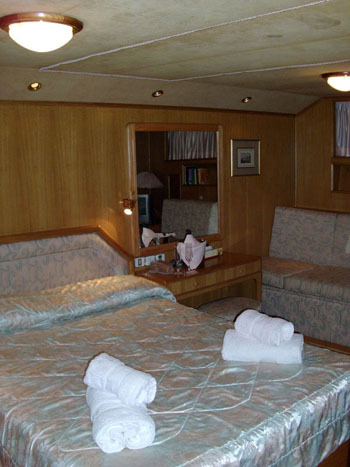 A further 4 cabins below decks offer side by side twin beds. 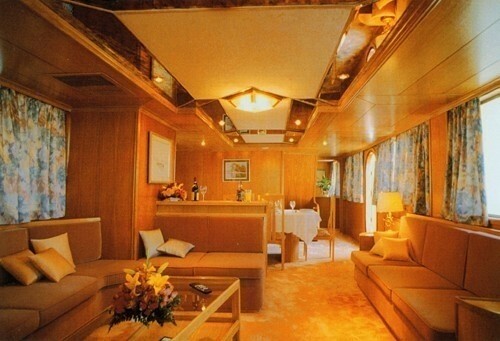 On the main deck, the VIP cabin is full beam of the yacht forward, with a double bed. 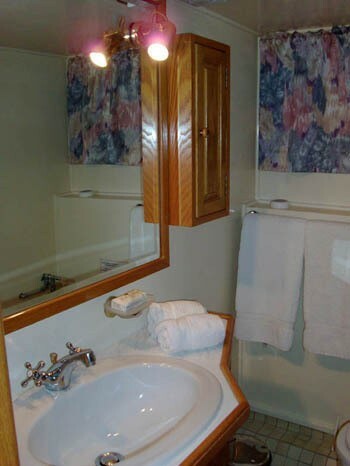 An additional cabin is on the upper deck, offering single upper and lower beds. 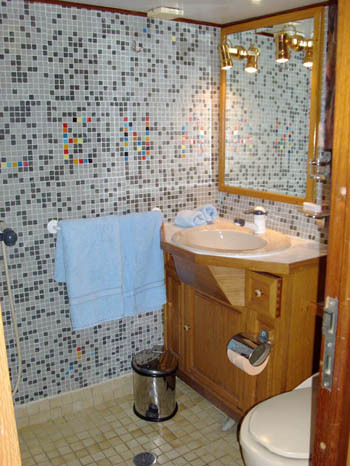 All cabins have full air conditioning and en-suite facilities. 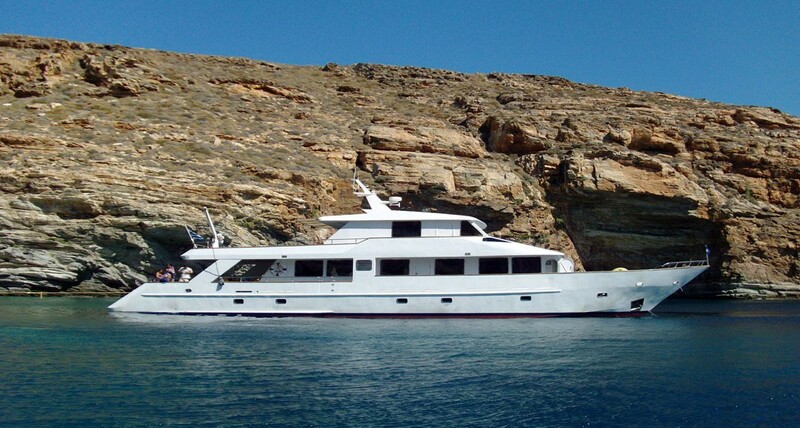 M/Y ELENA has a crew of 5 to 6, the crew have separate accommodation and facilities. Yacht ELENA has a Tender with 60hp, Windsurfer, Water skis, Floats, Snorkel gear, Fishing gear, TV, Stereo, Board Games.